This open-hearted, honest documentary is universal, tender tale of two people trying to have a baby. “Why not us?” asks Jason Barker during this extremely personal documentary about a couple trying to have a baby. The pregnancy that’s longed for by both Jason and his partner, though, isn’t your typical pregnancy, as Jason himself is looking to become pregnant. What they call their “Plan B” arises after Tracey is diagnosed with breast cancer while they were trying for a baby, which meant that she was unable to bear a child. 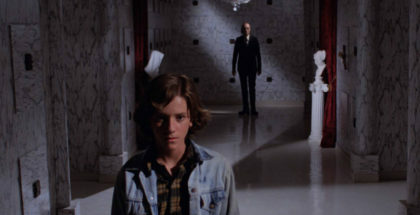 Jason, a transgender filmmaker, not only concluded that he would therefore attempt to conceive, but also documented the entire thing on camera. Home movies can be some of the most powerful documentaries, and A Deal with the Universe is no exception, bringing us into the fold of the partners’ intimate struggle, from miscarriages to IVF, by way of a mastectomy and testosterone therapy. 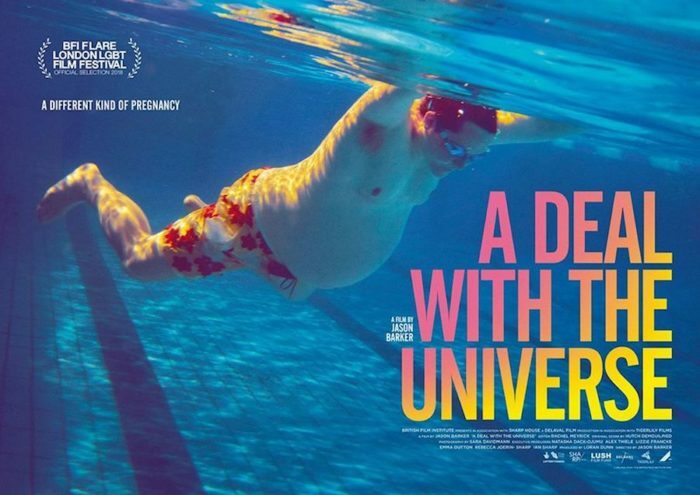 There are interesting issues and questions that loom in the background of this story, and A Deal with the Universe is a warming, inspiring look at the would-be parents working through them all, or, perhaps more accurately, working past most of them and just getting on with it – the movie’s strength lies in the way that this is about parenthood more than transitioning, giving us something wider than the narrow window of trans lives that is often shown in the media, and, indeed, into territory that’s far from the kind of sensationalist treatment one might expect. Made over 10 years, Jason’s transgender journey features, and is discussed himself in snippets of his stand-up routines, but that scale encompasses the show’s wider scope; this is equally groundbreaking in the way that it forefronts Tracey’s mastectomy, a process that is rarely covered in films so candidly. The result lacks the polish and gloss of a bigger production, but makes up for that looser structure with its immediacy and open-hearted honesty. It’s an emotional rollercoaster but one that also ends on a positive note – a study of gender, identity and commitment in a relationship that, at its heart, is a universal, tender tale of two people simply trying to have a baby. After all, why not them? A Deal with the Universe is out now in cinemas and on Curzon Home Cinema.